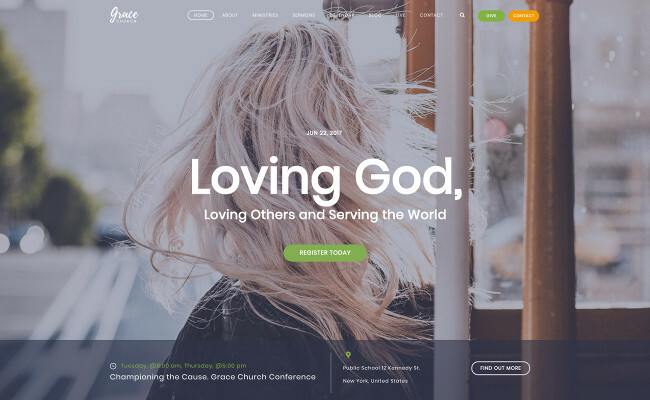 Whether you are a band, pastor, worship team, author, speaker, non-profit or outreach ministry, any of our beautiful themes can bring your online vision to life. 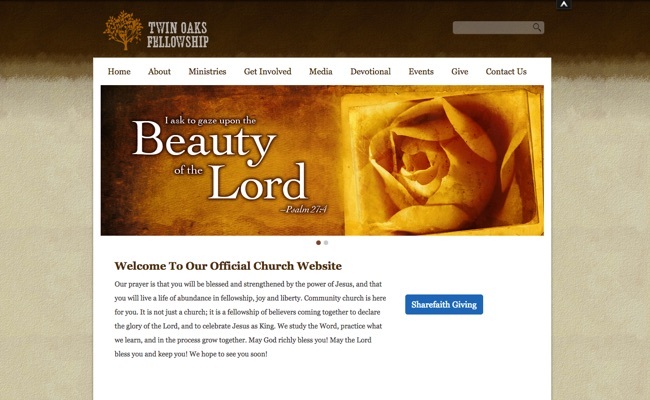 Below, you'll find our 12 most popular church website themes and templates. 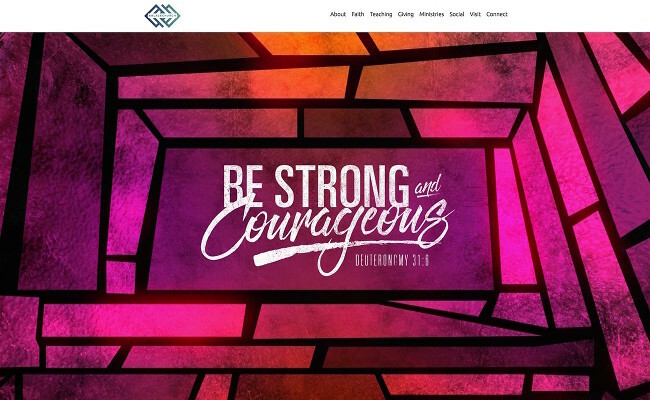 Redeemer Church Website Theme features the ability to be chosen for parallax and traditional templates, including a unique scrolling and the freedom to customize even more options. 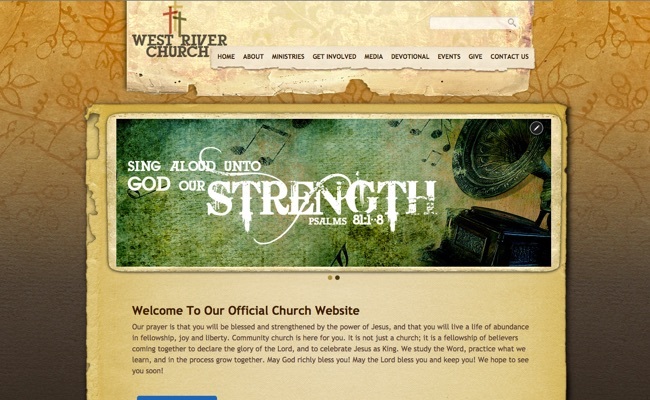 Revival Church Website Theme features a full-width backdrop for beautiful design options, including a unique blog layout and the freedom to customize your page header sections. 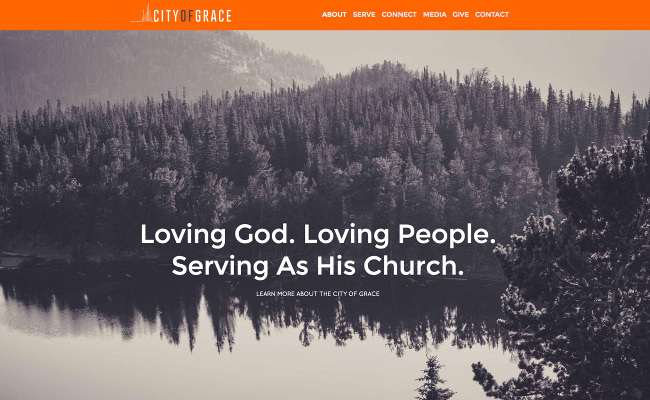 Grace Church Website Theme is trendy, stunning and beautiful, featuring a one of a kind homepage. You'll be amazed by the mixture of simplicity and power! 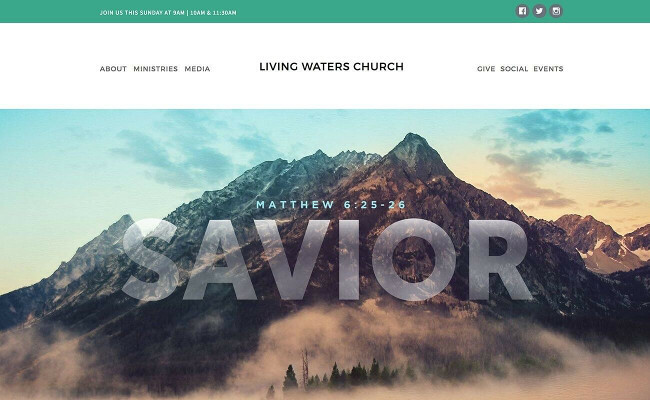 Living Waters Church Website theme is modern simplicity in it's finest form. Beautiful, simple and pure eye candy. Guaranteed to WOW! 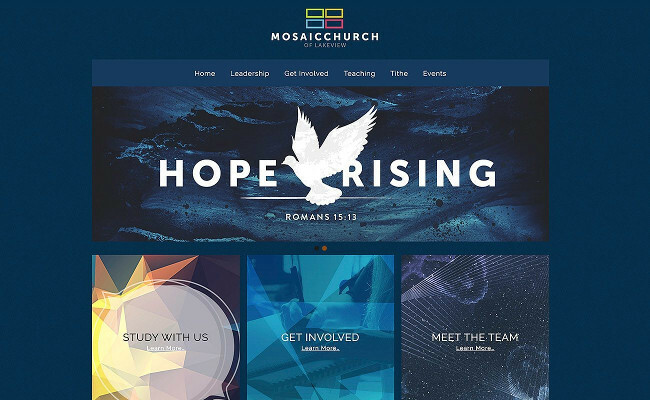 Elevation Church Website theme is simply stunning. Modern, to-the-point with beautiful layout features. The easiest drag-and-drop design. If you like organized sections that feel like panels, you'll love this theme. Easily tweak each panel to house your most important info. Another hit template. With a stunning video background and clean contemporary layout, this website template is sure to wow any visitor. Hip, relevant, and so beautiful! 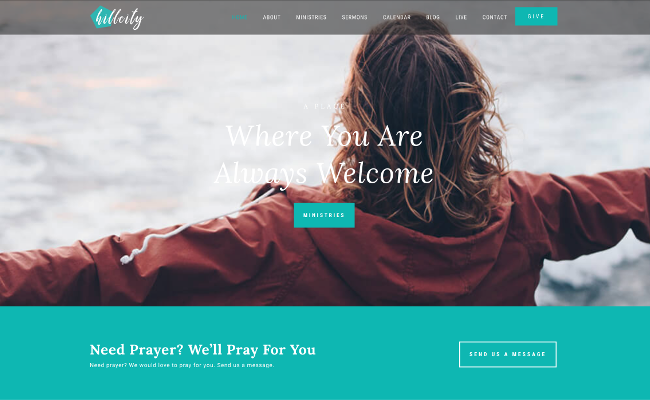 The simplicity of this theme makes this website template super fast and easy for your church to have a beautiful web presence. Edge to edge content boxes. Style it with any color, any background and even make it a clickable area. By far one of the most popular themes. A more traditional template (still super popular) with a rotating banner and 3-column layout. If you want to keep things more basic, this is your theme! 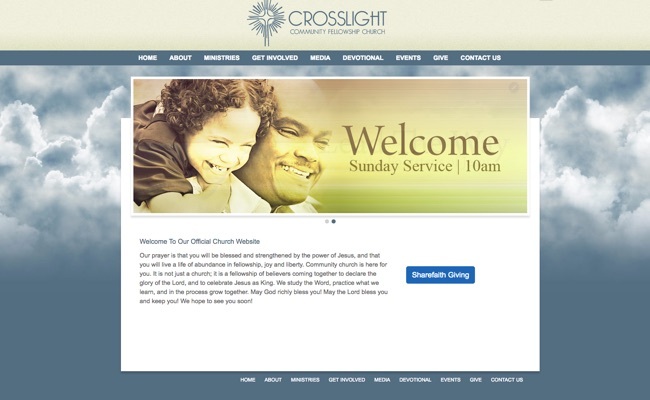 A super nice church website theme with a picture background and fully customizable content box on top. Your imagination will love it! Talk about creative. The menu is on a sidebar and the site scrolls up as you click on the navigation. It's a brilliant new way of doing a website. 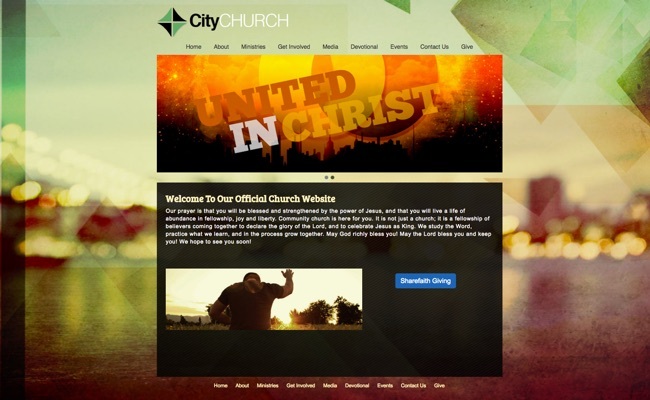 A dark colored contemporary church website theme with boxed titles and rotating banners. Clean, sophisticated and very modern. 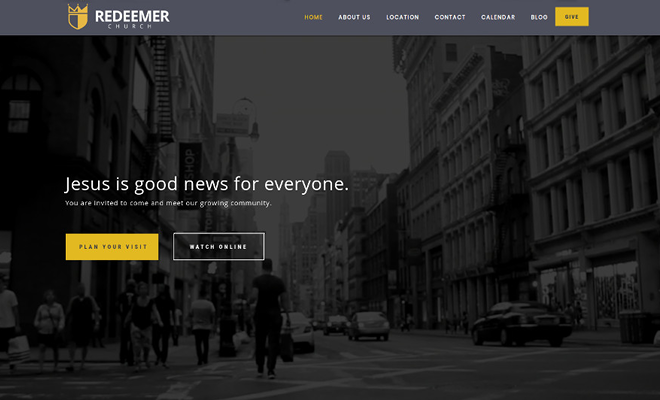 A parallax church website template that's all about people. 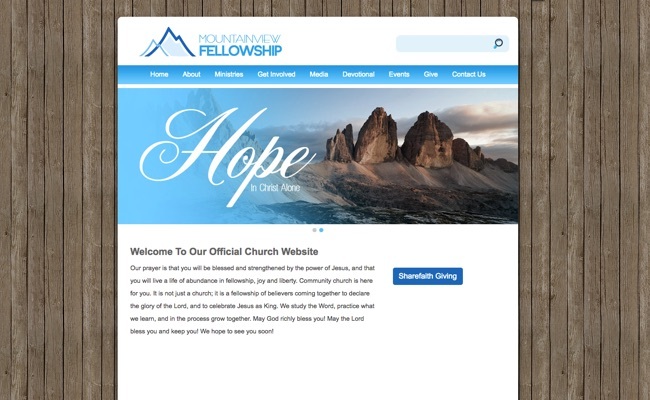 If you want your site to focus on fellowship, this amazing template is yours! A white, clean, breathy template with elements of blue. This parallax website template shouts sophistication. 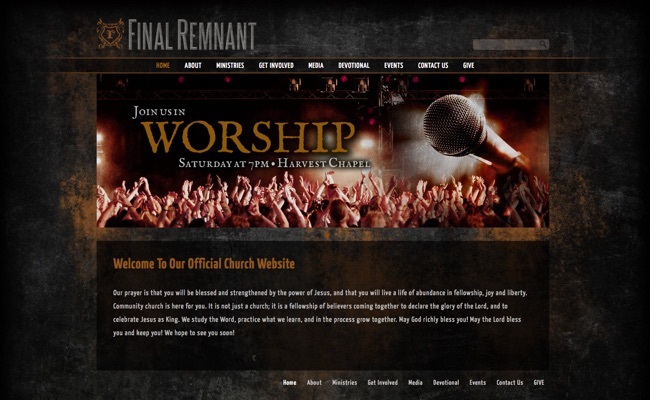 A formal and elegant church website template with a grunge feel. When style and simplicity is your goal, this template will rule! Use as is, or style it any way you want. 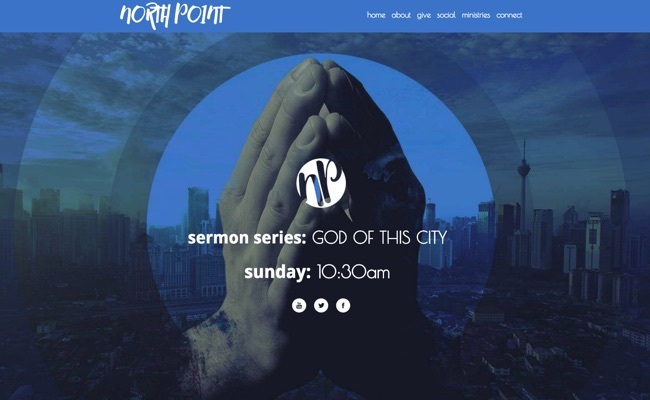 A stunning church website with a wood background and visual approach. Easy to navigate. Customize or use as is! Another white parallax website with a video background. Great for a female author, women's conference, or event. This theme offers edge to edge graphics on all subpages and makes a radical conversion to long scroll subpages, perfect for a beautiful mobile experience. Great colors. Sophisticated. Simple and traditional. For the church that likes a no fuss approach. Fully editable! Strike the perfect balance of a background photo with beautiful content. 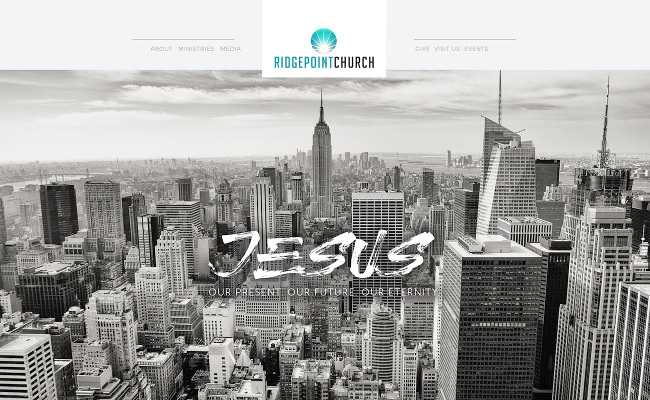 This church website template is beautiful. Customize it to your liking. 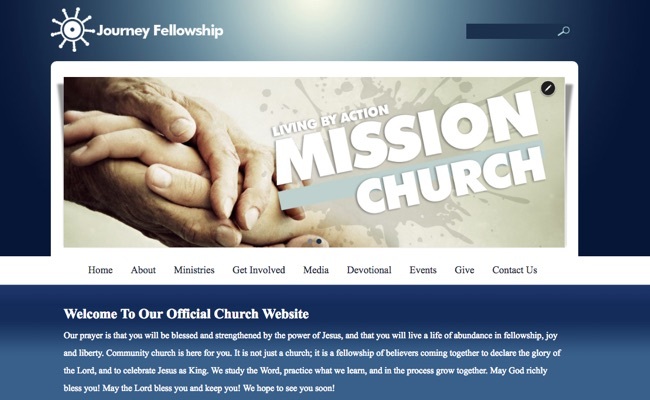 A simple, yet sophisticated theme for a church that likes the "less is more" approach. You'll love this theme. Fall colors. A simple approach. Easy editing. Be up and running in no time with this traditional website template! 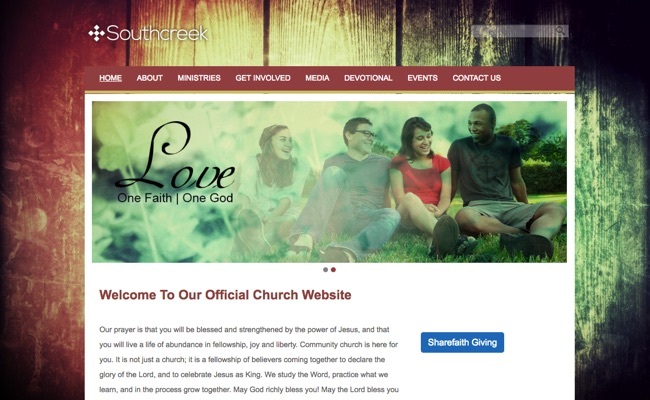 A vintage-inspired church website template. 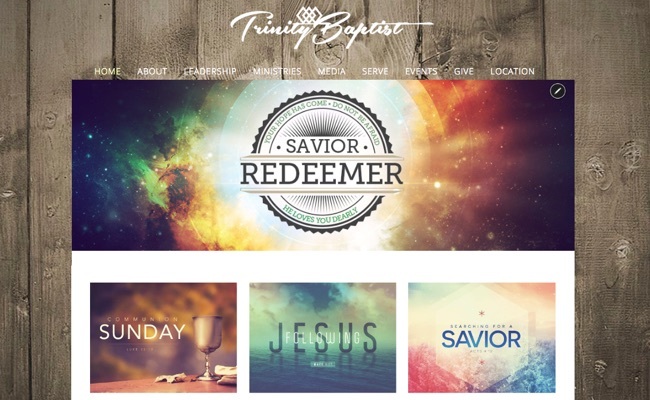 Perfect for a Biblical scroll themed website approach that is fun to work with! A modern approach with a vintage overtone. It looks stylish, easy to read, and easy to edit. Customize as you see fit! Elegant, formal, and beautiful to look at. This template is easy to edit and combines visuals and content in a fun way! A traditional template with a grunge/vintage feel. Millennials love this one! Our nearly 8,000 church website users love our customer support. They love our product. They delight in its ease of use and power house features. Whatever they imagine, they can build. 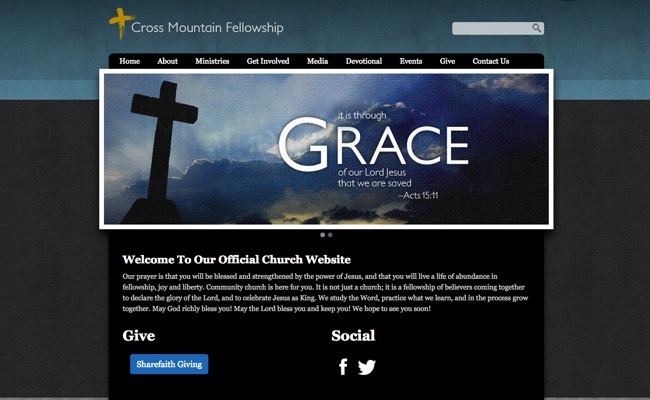 The compliments you'll get when using a Sharefaith website will put new energy in your ministry focus!